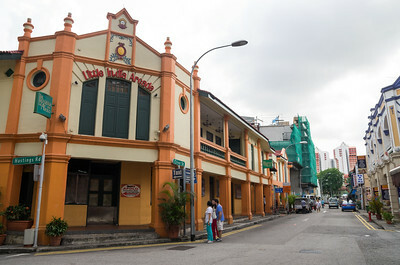 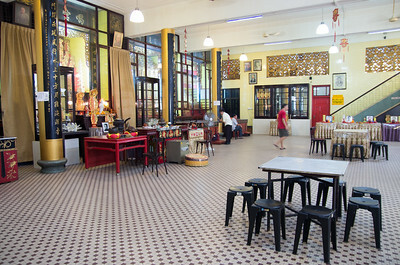 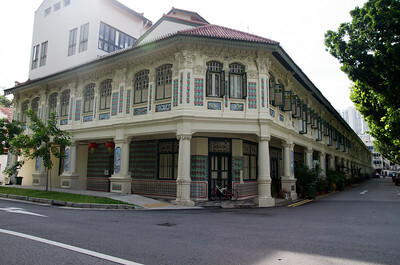 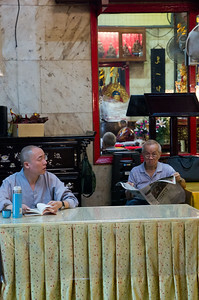 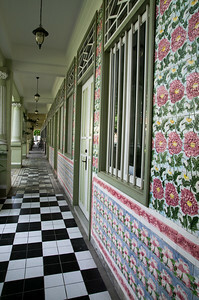 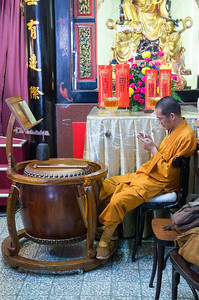 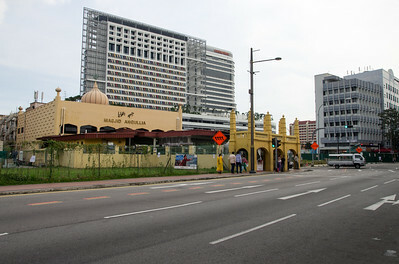 Little India is, as the name promises, the centre for the large Indian community in Singapore. 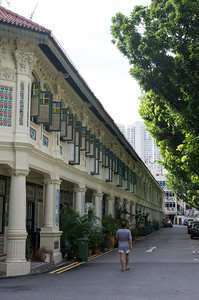 While a rather sanitized version of the real thing, Little India retains its distinct identity without degenerating into a mere tourist attraction and is one of the most colourful and attractive places to visit in Singapore. 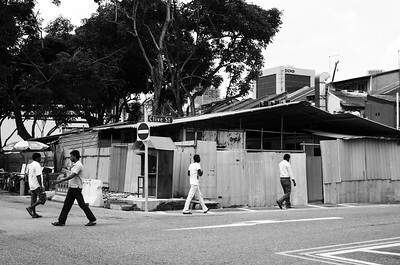 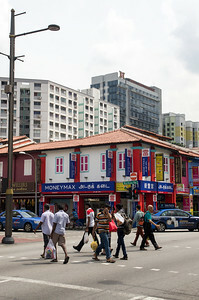 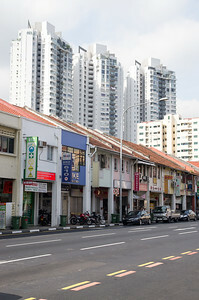 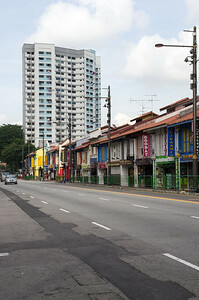 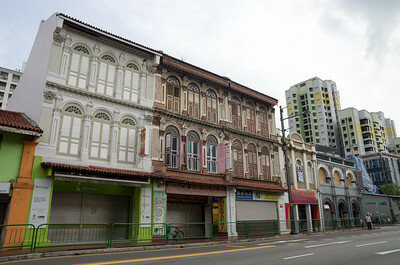 Little India's main drag is Serangoon Road, which starts at Rochor Canal Rd and continues northward to Serangoon itself, where it ends at Punggol. 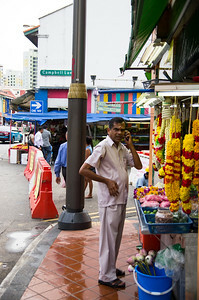 The action is tightly concentrated a few blocks on either side of the road, and can be easily covered on foot. 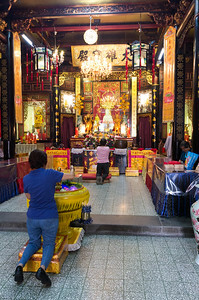 Dating from 1917 and dedicated to Kuan Yin (Guanyin) The name translates as Dragon Mountain Temple and its tiled roof ridge is decorated with animated chimera, dragons, flowers and human figures. 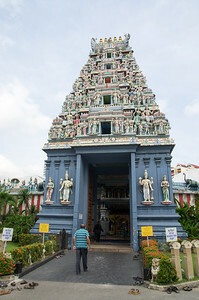 Sri Srinivasa Perumal Temple or Sri Perumal Temple is one of the oldest temples in Singapore. 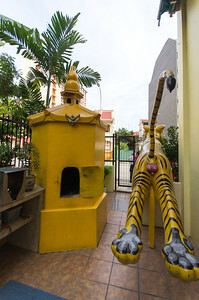 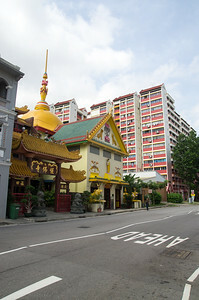 It is located in Little India on Serangoon Road, where its tall Gopuram (tower) shows the different incarnations of Lord Vishnu. 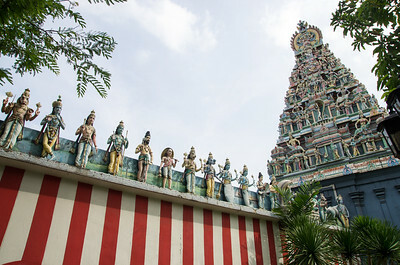 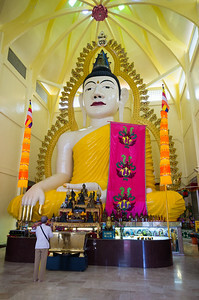 This large complex, dedicated to Vishnu, dates from 1855, but the 20-metres-tall Gopuram is a relatively recent addition, built in 1966 at a cost of S$300,000.